Wave trains may destroy each other by “interference.” Light added to light may produce darkness. 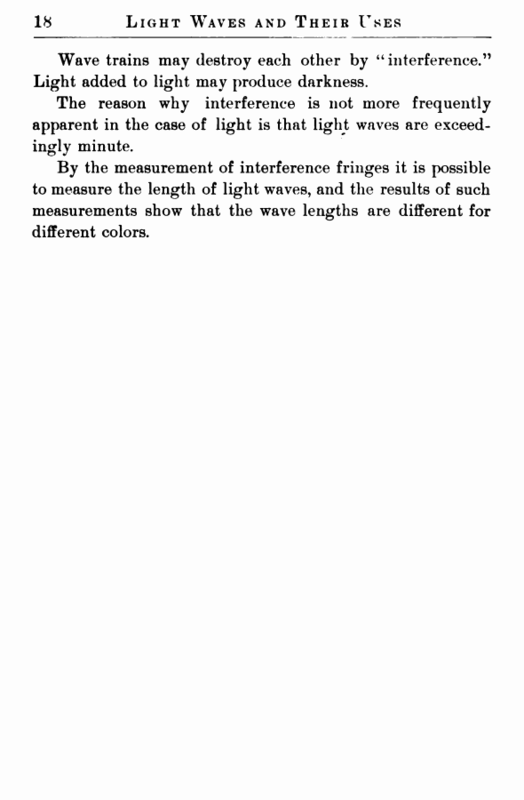 The reason why interference is not more frequently apparent in the case of light is that light waves are exceedingly minute. 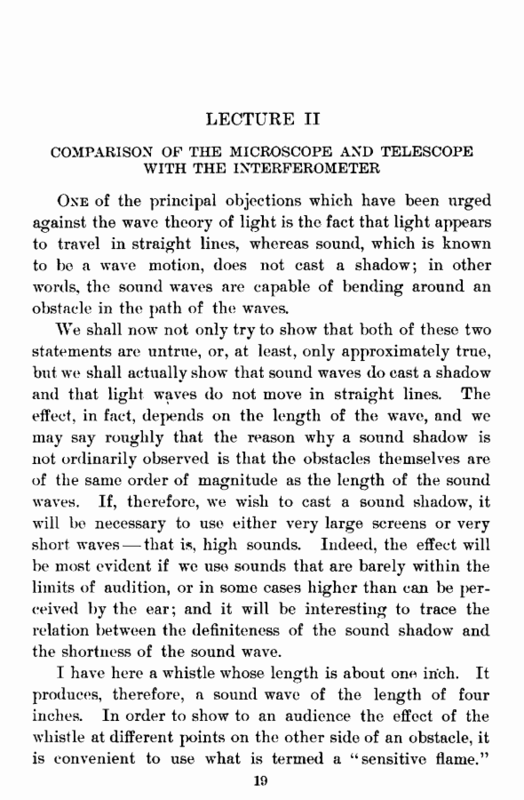 By the measurement of interference fringes it is possible to measure the length of light waves, and the results of such measurements show that the wave lengths are different for different colors.